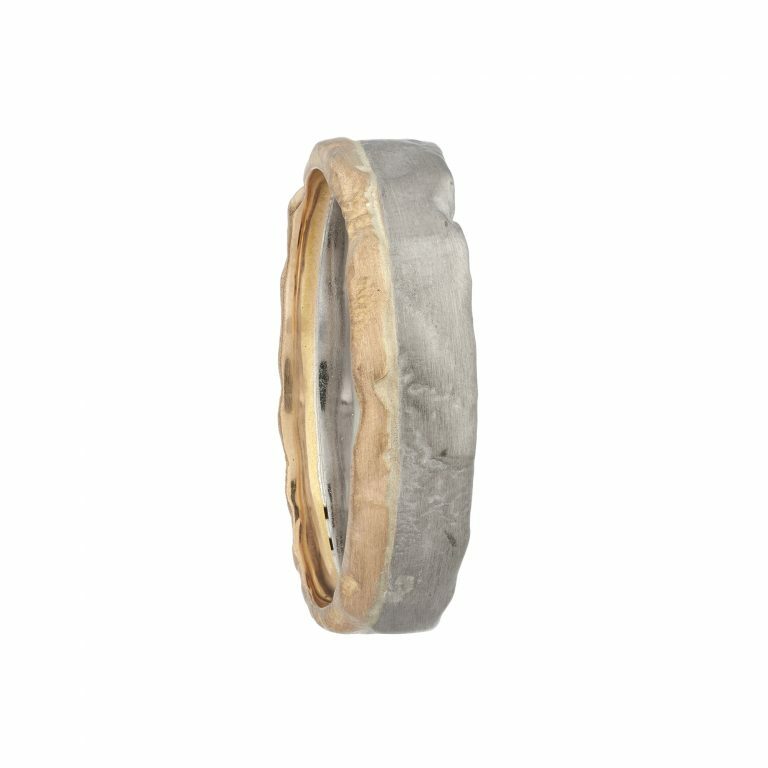 18ct white and rose gold bi-colour Molten wedding ring in a matt finish. 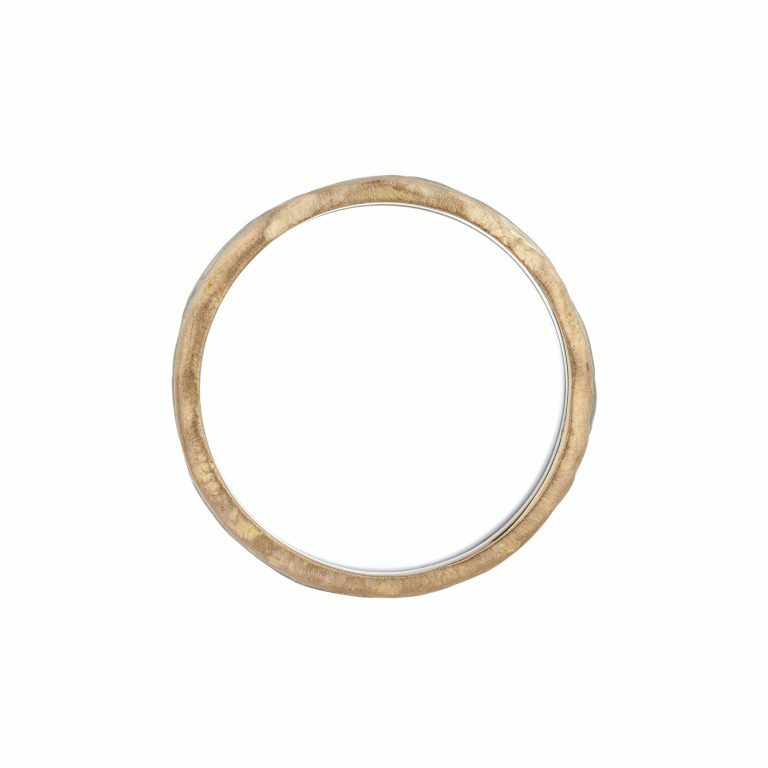 The stock ring is a size U. Can’t make your mind up? Have both colours! 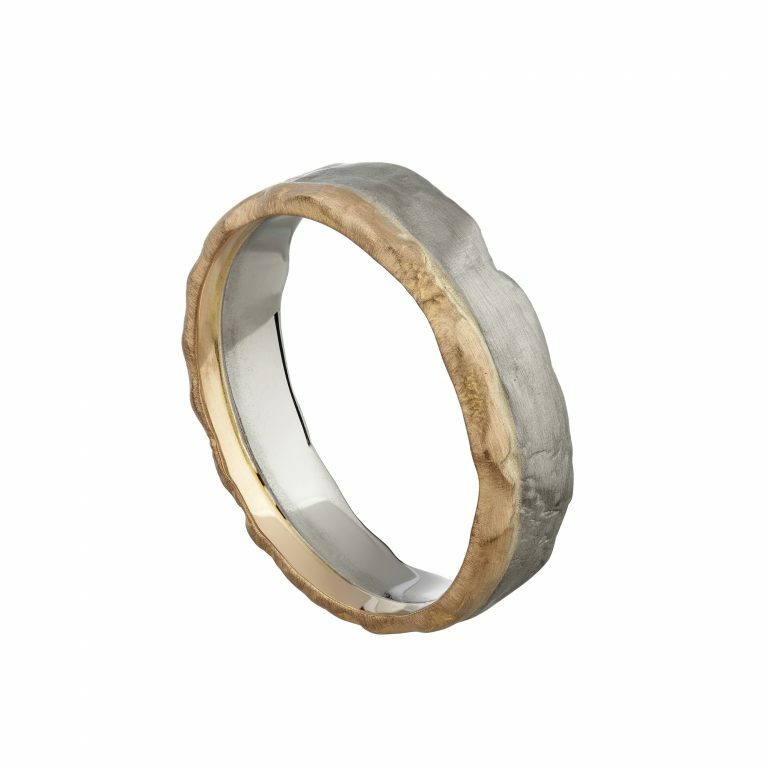 This ring can be ordered in different colour combinations within 6 weeks – please contact us for further information.